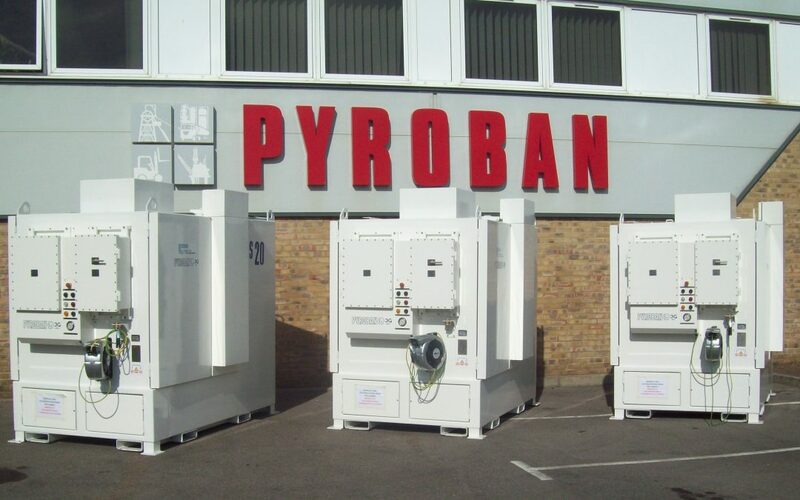 During our 50 years of continuous trading, Pyroban has been asked to convert compressors or other industrial process equipment for certified use in zone 2 hazardous area applications. While many of our projects have been for well testing and fabric maintenance and involve diesel engines we have also witnessed an increasing number of electric powered units. Here is an example of a project for an FPSO that required three fixed installation electric compressors off the coast of Africa. One is a backup. The machines can be cycled to allow for maintenance and repair and give even ware to each machine. Working in a hazardous area with potential for methane gas release, Pyroban converted the 415V AC compressors for Group II CAT 3G IIB T3, Tamb=-20 to +40degC. 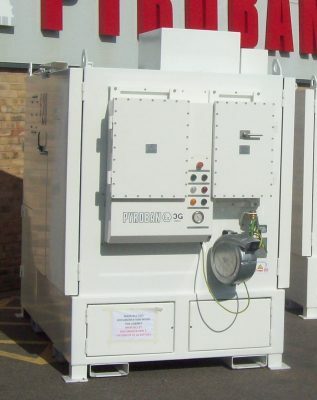 Using bespoke ATEX 2G Explosion proof electrical enclosures manufactured and tested by Pyroban, the final ATEX non-electrical certification to IEC 80079-37 was provided by a Notified Body as per the EPC’s preference. For more information contact us directly or visit Pyroban on stand B 1439 in the UK Pavilion at OTC from 30th April till 3rd May in Houston, USA.